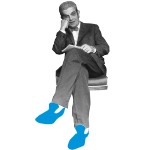 A meeting with Jacques Lacan, testimony of Susanne Hommel, psychoanalyst member of the Ã‰cole de la Cause Freudienne (AME) and of the World Association of Psychoanalysis. She has written a lot of studies about the works of Freud and Lacan, especially on the real in the analytical experience. Also she has published writings from her experience as psychoanalyst, with issues about the translation and the translation of several fondamental texts of psychoanalysis as, a "Project of a Psychology for Neurologists, by Sigmund Freud, published by The Coq-HÃ©ron, the translation of The Correspondence between Sigmund Freud and SÃ¡ndor Ferenczi (Third Vol.). Also, Lectures on S. Freud, Jacques Lacan, Von Kleist, Laurence Bataille and Anna Freud. She published the book: "L'histoire du sujet dans l'histoire du siÃ¨cle" lectures de textes, lecture de cures avec Freud et Lacan, Soleil CarrÃ© Editions, Tours,1993, which is a set of papers written between 1975-1990. Eugenia Varela Navarro is analyste praticien, AP, of the Ã‰cole de la Cause Freudienne in Paris (ECF) and of the World Association of Psychoanalysis (WAP). She is press correspondant of RadioLacan in Paris.